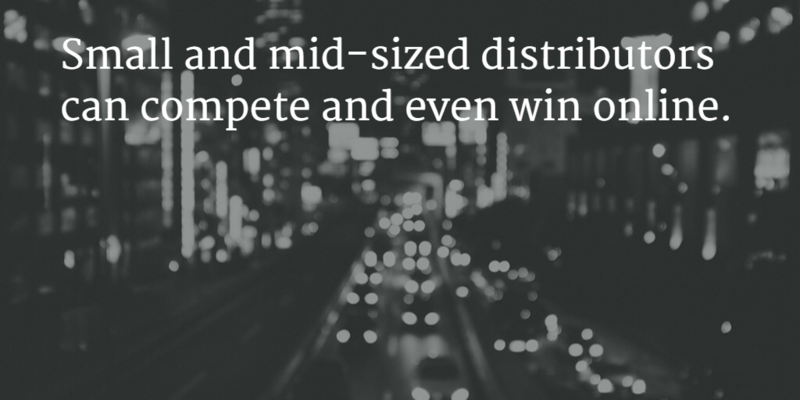 Without change, small and mid-size distributors are going to soon have a big problem. Big distributors have invested in their eCommerce platforms and are seeing growth and loyalty build in their customer base. But it is no longer just the usual suspects of Grainger, MSC, Watsco, and Ferguson. Big box retailers like Home Depot are jumping into the game and fast. Through a strategy named “One Approach, One Home Depot,” executives reason that unifying services for renovators and remodelers, installation providers and maintenance, repair and operations suppliers, or MROs, the company will drive sales from $88 billion today to $101 billion in 2018. By “moving beyond the 7-Eleven [convenience store] approach we will become the primary source for our Pro customers’ needs,” said Bill Lennie, executive vice president of outside sales and support. New business models are needed to support our sharing economy, and that is starting to affect B2B businesses as well. Home Depot is seeking to unify services for renovators, remodelers, and installations providers to become the primary source for customers’ needs. Small and mid-sized distributors are feeling the crunch from multiple directions. From Amazon to Grainger and now Home Depot. Even with these pressures, acquisitions, and investments, I believe small and mid-sized distributors can compete and even win. Check out my recent article, “Small and mid-sized distributors, you can compete online” to learn how.